In the exponents unit we took a close look at exponents and powers. 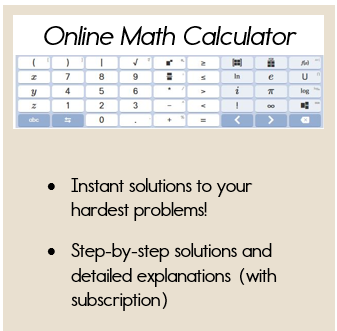 You may want to review the lesson on exponents before starting this lesson. 22 = 4. This can be read as 2 "squared" equals 4. This means that 2 x 2 = 4. 32 = 9. This can be read as 3 "squared" equals 9. This means that 3 x 3 = 9. 42 = 16. This can be read as 4 "squared" equals 16. This means that 4 x 4 = 16. As you've probably discovered in Math, there is always an "opposite" operation. So, can you guess the opposite operation for "squaring" a number? You've got it - taking the "square root" is the opposite of squaring a number! Let's take a look at the symbols. Before we dig in, let's look at some familiar vocabulary. The symbol used for identifying roots is called the radical sign. The number inside the radical sign is called the radicand. When you start Algebra 2, you will also learn that if you are working with cube roots, or fourth roots..., there will be another number called the index. We'll worry about the index later. Take a look at the diagram below to further explain these definitions. Take a look at the chart below for a list of the most common square roots. It is a common mistake to identify the square root of 4 as 2 and -2. Typically when working with square roots, we only want to identify the "principal square root" which is the positive answer only. Why did I stress that if you want a negative square root, that the negative sign must be outside of the radical sign? Wow! We've covered a lot in this lesson, but let's look at one more example. What Happens When You Take the Square Root of a Fraction? When you take the square root of a fraction, simply take the square root of the numerator and the square root of the denominator. The answer remains a fraction. Take a look at the following examples. Wow! We've accomplished a lot, and there's a lot more to learn. But, we'll take it one step at a time, and soon you'll have a solid understanding of quadratics. 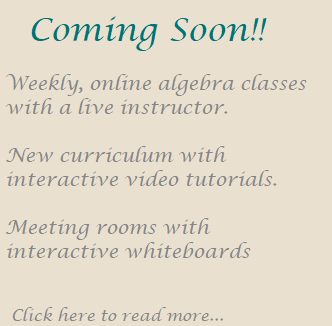 Now, you are ready to start our first lesson on solving quadratic equations.